Brazil is the world's fifth largest country, both by geographical area and by population, with over 193 million people. What happens there can change everything. 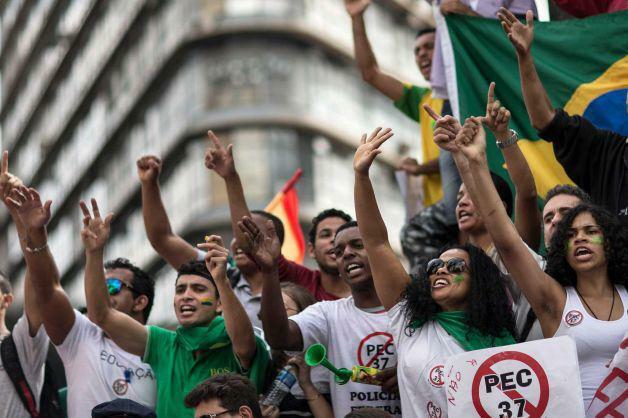 A rise to bus fares was the trigger to get millions of Brazilians onto the streets but they have plenty of reasons to be mad. 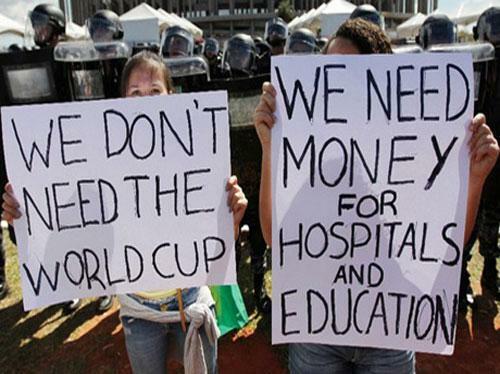 Like in so many countries around the world Brazilians are sick of getting a ripped off. Taxes are too high - services are not good enough. The ruling class want the kind of economic growth that only benefits them (and destroys the environment). Mega projects like stadiums and dams are mega corrupt. The super rich are getting steadily richer while the poor die in the streets. 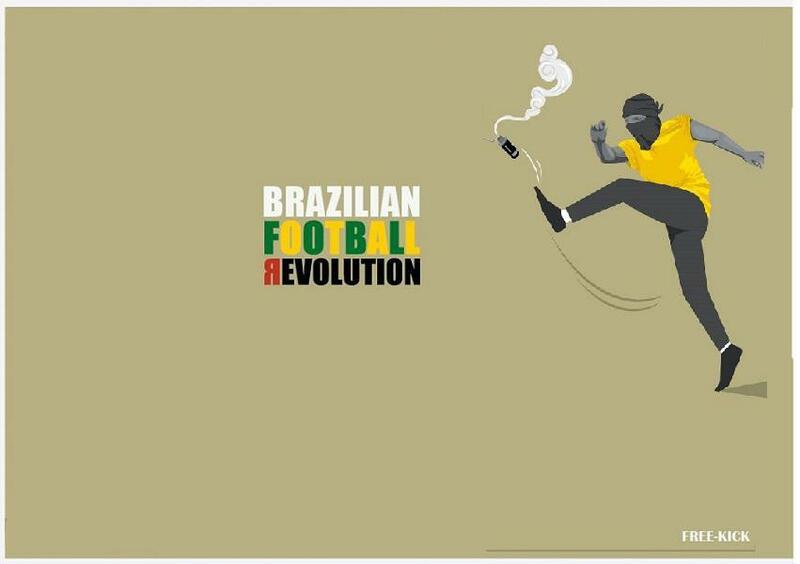 Brazil is the world's fifth largest country, both by geographical area and by population, with over 193 million people. What happens there can change everything. 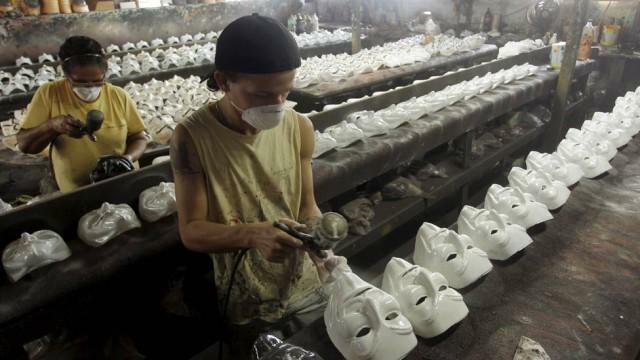 A factory in Brazil is making 800 V- masks a day for protestors.